Neantóg is the Irish word for nettles, and the name of our farm in Cliffoney, Co. Sligo. As well as being our home it is where I run my naturopathy clinic and food courses. My love for herbs and medical background led me to study at the College of Naturopathic Medicine in Dublin. I qualified to practice as a Naturopath and Herbalist after 4 years of study in 2004. I am also a fully trained Reflexologist since 1997 and Reiki Master since 2000. 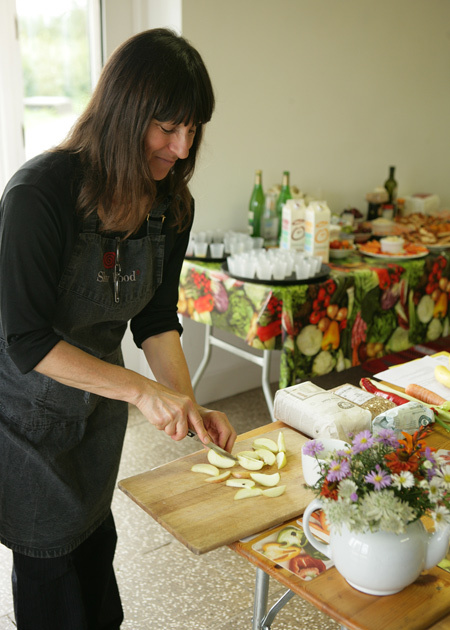 I give courses in growing and using herbs, wholefood cooking and baking, and living foods. I also work as a cooking instructor with community and schools garden projects. Through these I launched ‘Neantog Cookbook – Gaby’s Favourite Recipes’ in 2008, now on its 5th Edition, which is available to buy online and in local bookshops and healthfood shops in the North West of Ireland.